And while there is a great deal of truth in this saying, it doesn’t mean that by default you know how to access your full spiritual potential. But the good news is, the energies present this year, and actually, in this very moment, are incredibly supportive to help you remember your spiritual truth. The Spiritual Tool Kit is an incredible series of audio sessions will support you in gaining access to the full light and power that is your True Divine Nature. By simply listening, you will receive powerful energetic transmissions, so you can…. • Invoke your team of angels, and significantly boost your connection with your guides. • Clear and center your energy to tune into the light and power available to you in the present moment. • Activate the healing power of love in your body, mind, and spirit. • Receive powerful spiritual healing. • Unlock your personal portal to the Spirit realms in the way that will most support you as you progress on your unique spiritual journey. • Raise your vibration and lift in Divine love and light. • Make the transition into living fully embodied as the light being that you authentically are. 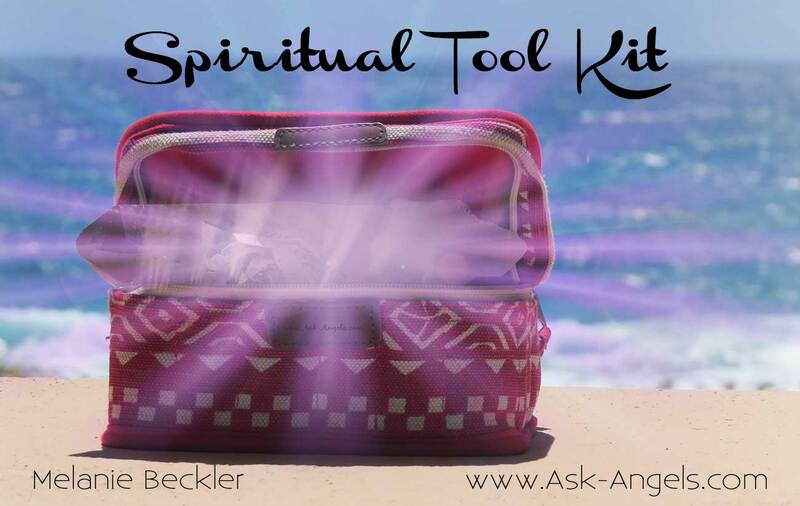 If You're Ready to Get The Spiritual Tool Kit Now… Click Here! Receive and activate your “Angelic Halo” to boost your connection with your angels and receive divine messages that will help you in your daily life! You will not only meet your guardian angel and the rest of your divine support team… But you will build a relationship and deepen your connection with the divine. By simply listening to this audio angel session, your Angelic Halo will be activated and you’ll meet with your guides and angels personally, experiencing their guidance in a clearer, more vivid and more profound way than ever before! Activate the power of healing love within your heart so you can heal your body from the inside out with help from your angels. This session will help you to nurture and experience your body like the spiritual temple that it is. You’ll be shocked at how much lighter and clearer you will feel from just listening to this session alone. Plus each time you listen new possibilities healing mind, body, and spirit will continue to be revealed as you further open to the healing energies woven throughout. Quickly and effortlessly cleanse your energy, connect with your angels and tune into the infinite power of Divine love and light in the present moment. Feeling down and need a boost of positive energy? This will take you from sad and low vibration to happy and ready to go. Wonderful to listen to in the morning to energize your energy for the day, or any time you feel drained, disconnected or needing a increase in energy. Orion, Metatron, Uriel connect with a powerful energetic cleanse, and frequency to assist you in connecting with your Higher Self. You will be guided to embody the full light of your higher self so you can accomplish your highest purpose and embody the highest vibration of love. This is living in the New Earth, living awakened, inspired, aware, present and in love. Each of these three channeled angel sessions in the Spiritual Tool Kit are set to the uplifting meditative music of Thaddeus. This channeled meditation music increases the spiritual power of these sessions so you can achieve deeper connections with your angels with less effort. But, what are Isochronic Tone Meditations, you may be wondering? While your spiritual and emotional bodies certainly play a role in allowing you to access your higher potential and determining your state of mind, and overall well-being, so does your brain! Throughout your life, your brainwaves are constantly in motion, and will change depending on the activity you’re engaged in, your mood and with your present state of consciousness. There are five types of brain waves that can occur while you’re thinking, sleeping, dreaming, concentrating and doing what you do – those brain waves are beta, alpha, theta, delta, and gamma. Isochronic Tone Meditations consist of specialized sounds and tone recordings, that when listened to, help you tap into different brain wave states, or levels of consciousness when you want, for maximum benefit. This 18 Minute Meditation will gently bring you into an Alpha brain wave state to help you achieve an increased state of awareness, FAST! This will help you to leverage the power of mindfulness, access your intuition, and observe what is happening around you with a calm, clear mind. Being in the Alpha state also brings you into a receptive place to access your intuition, tap into healing energy, and tune into the power of healing in the present moment. This meditation takes you deeper into your subconscious allowing you to access even more of your intuition connecting you with your spiritual power. It begins in the alpha frequency range and gently fades into theta, then back to alpha at the end of the meditation. The alpha brainwaves allow you to begin tapping into your intuitive inner guidance. The Theta brainwave state is one of deep relaxation, deep meditation, and increased mental imagery. When your brain reaches the Theta brainwave state, which happens automatically by listening to this audio track, you experience an incredibly creative, and deeply spiritual state of being that is pure bliss. Finally, this session brings you back into Alpha, to help you tap into your subconscious and intuition as accessed through the Theta state in a way you can remember, understand and benefit from. Delta brainwaves are those of deep sleep. In this session you will start with the the relaxing, and highly spiritual Theta brainwave session. As the session continues, you will float effortlessly into the delta brainwave state that will help you in naturally drifting into a deep healing sleep. This session is perfect to play at bed time as it can offer many sleep state benefits including falling asleep faster, achieving deeper states of sleep more quickly and waking up feeling more refreshed and with more energy than ever before. Do you ever wake up in the middle of the night or early morning hours, wishing you could fall back asleep for another hour or more? It happens to us all from time to time… This meditation is the perfect ‘answer’ to that challenge! Even if you don’t fall asleep during this meditation, you are still receiving the powerful benefits of rest and relaxation so you can rise with energy and stamina to take on your day! So how much does the Spiritual Tool Kit cost? The Angelic Halo session alone, is one of the best Angel Sessions I've ever channeled! And not only are you going to get the Angelic Halo, Spiritual Healing and Be Here Now channeled angel sessions… That could easily sell for $97 by themselves. But you are also going to receive the three isochronic tone meditations as a Free Bonus. The Instant Mindfulness Meditation, Intuition illuminator and Relaxation Sleep Enhancer could easily be sold for $17 each, or $51. Bringing the retail value of the Spiritual Toolkit to over $147… But I’m not going to charge you that much for it. I know that you are going to experience great benefits in your life from these sessions, so I’m wanting to make this as easy as possible for you to get started. Today, you can get the entire Spiritual Tool kit with 3 channeled angel sessions and 3 isochronic meditations worth $147 for only $97! Plus, as always you have our 30 day money back guarantee! Order the Spiritual Toolkit right now, and get instant access to all six of the powerful audio meditations. Try them out and listen to them for yourself over the next days and weeks. If you aren’t 100% satisfied with them for any reason, just email me at support (at) ask-angels.com and request a full refund! No questions asked, we will happily refund your money. Because I am so confident that you will experience a closer connection with your angels. You will experience increased intuition and clarity about your personal spiritual path. And you are going to love feeling lighter, more connected and spiritually in-tune than ever before! You are going to want to keep these messages forever and return to them time and time again because you will continue to experience further spiritual growth and awakening with the help of these messages. And if they aren’t for you… No worries! Your full, 100% refund is only an email away. 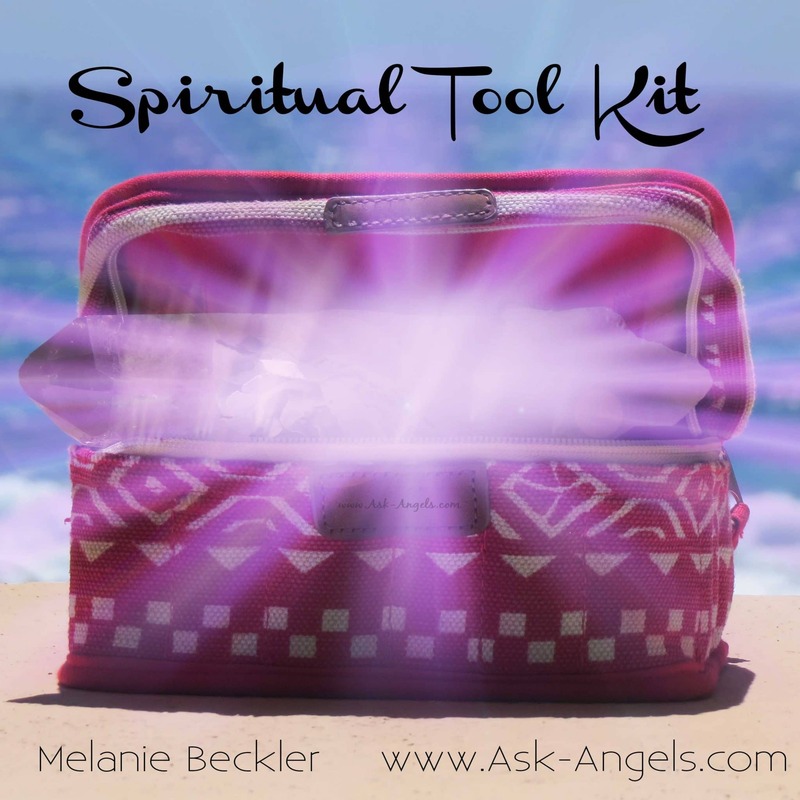 Click the button below to get the entire Spiritual Toolkit now. What have past customers said about the angel sessions and courses from Ask-Angels.com? “I am noticing a change in my energy and life. I call angels sometimes and they always come and help me. In a few minutes I feel much better. My life is easier now than it was few months ago. Some positive changes happened and I have more faith now then before. I am progressing. I am so grateful for this! And I am so grateful to you as well . Thank you for helping me, I enjoy listening to the angels messages!